Another Eldrazi Titan has entered the mix. The one they called “Cosi” finally joins the battle. What does he bring with him? A wealth of options. 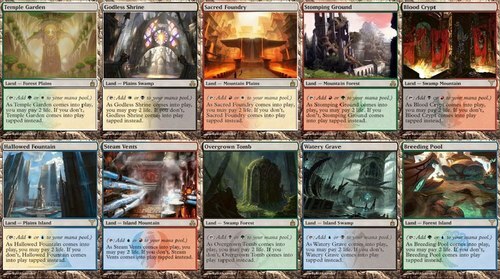 Ok real talk, since everyone else on MTGprice is probably going to cover the expeditions I’m gonna take some time to talk about some Standard cards. My column is for the player, by a player. As I jokingly said during our impromptu podcast (found here) with fellow MTGprice.com writers, Jeremy Aaranson, Travis Allen, and Douglas Johnson, not a lot of MTG Finance people play a ton of Magic. There is some extra value in owning cards when you play with them. Bad news blue players. We probably have 2 bulk mythic rares right here. Crush of Tentacles looks a lot like an Upheaval but the reality is it’s almost always worse to cast than Ugin. Until Shadows over Innistrad this is likely to be a bulk rare. Part the Waterveil sees “some” play and is still barely breaking the bulk bins at $2. I won’t waste too many words because Sphinx of the Final Word does not deserve many words. Now we’re cooking with gasoline. I think Nissa might be in an awkward spot because on it’s face value, it’s probably worse than Nissa, Vastwood Seer at the moment. They are the same mana cost and this Nissa is more difficult to cast. 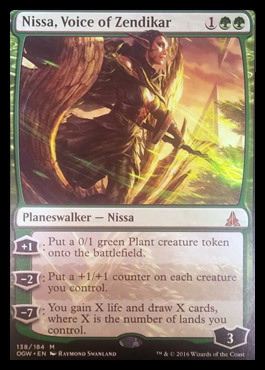 That being said, I’m pretty sure there will be some Nissa/Gideon deck coming in the fall of 2016 so we will want to look at the summer as the time to pick her up. As with most Planeswalkers, this card will probably start pre-ordering for too much and be half the price by the next set. World Breaker. It’s simple, elegant, powerful. This card looks like a literal Giant Spider Eldrazi but it’s really a lot more than that. There is a high demand for 7+ mana colorless creatures (especially Eldrazi). Despite the green mana symbol this guy is immune to the same removal that Kozilek himself dodges. This mini-Ulamog plays a lot like a Pearl Lake Ancient that also plays pretty good defense. I’m certain there are a lot of Eldrazi ramp decks that are fine trading a land for one of their opponent’s every turn. All in all I think this guy will be too good to be $3 but probably not good enough to be $10. Maybe if I get some camera time in Atlanta after the set comes out I can show you how good he will be. 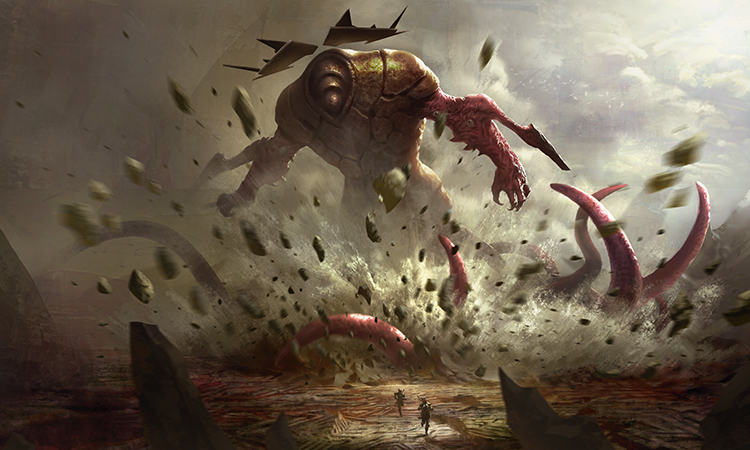 You remember how I said 7 mana Eldrazi are a big deal? The Eldrazi ramp deck really wants to ramp once on 3 and twice on 4 giving you access to 7-8 mana on turn 5. This card can nicely fit into your 4th turn after a Hedron Archive and then can be “flashed back” to finish up any non-Eldrazi threats your opponents may have. Being an instant is a big deal because it allows you to deal with some otherwise awkward threats. 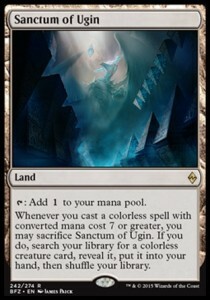 This can kill dash creatures like Zurgo and Lightning Berserker and smaller manlands like the new R/W manland. It’s also an answer to Jace that can also kill Dragonlord Ojutai and Dragonlord Silumgar. It can also sweep up Thopter tokens that are otherwise particularly difficult for Ugin to kill. I expect this card to be very popular even after Ugin rotates. This card could pre-order for as much as $15 and that would be really unfortunate because I think longer term it’s probably a $5-8 card for it’s life in Standard. Yeah this isn’t Elspeth Sun’s Champion. While we are more likely to take off the CMC Glasses now on 6+ mana planeswalkers, this one just doesn’t do enough right now to justify playing. I am, however, a big fan of foils. 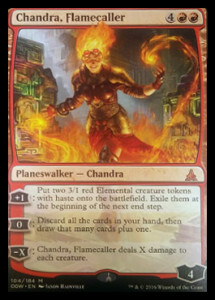 This card’s 0 ability has a lot of application in EDH and works great in a host of popular Izzet commander decks (Niv-Mizzet the Firemind is where she shines the most). I dont think this card has “what it takes” to get it done in standard. I’m pretty miffed the elementals aren’t even real Spark Elementals. They don’t have trample. Over all I think this is a card you want to avoid for more than $6 or $15 for foils. I’d say traitor-schmaitor but this guy looks like the real deal. He should be able to single handedly bring Roast back into the fold and propel flying creatures to the front of play. While the 4 drop spot is pretty hard to get into, I think this guy following a Drana will be an unsual 1-2 punch that will leave Black aggro decks able to pull ahead of removal efficient Red aggro decks. 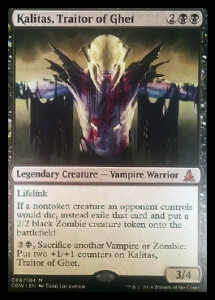 With the addition of more Zombies and Vampires in Shadows over Innistrad I think this guy has a lot of upside. We’ll have to wait for preorder pricing to start tricking in but I’m a believer at $10 or less. 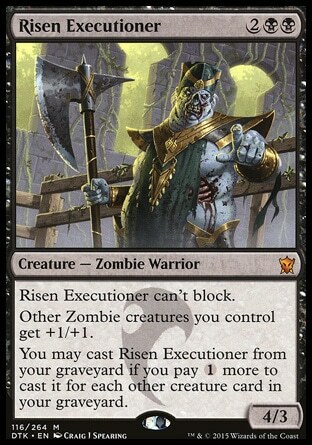 Without more spoilers, it’s hard to tell if this guy will be good enough without additional tribal support. Oh hey, you remember this bulk mythic? 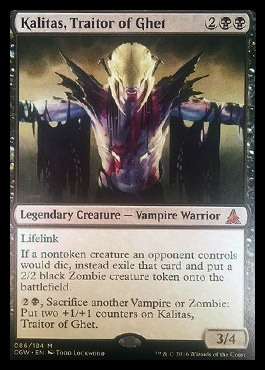 Well with Kalitas asking you to play more Zombies and Shadows over Innistrad due to bring more competitive Zombies into the fold, this guy might get a lot better. As I’ve said earlier, there is a lot of competition at the 4 drop slot so maybe he doesn’t quite get there right away but it’s early enough that you can get in him trades or dig him out of bulk boxes in preparation for Shadows over Innistrad. Oh yeah. 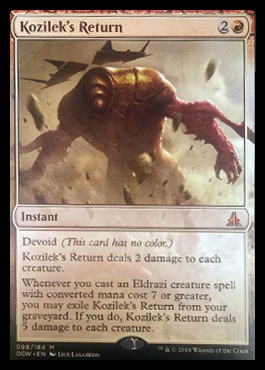 Eldrazi is a fringe playable deck (it’s actually bonkers if your local meta game isn’t swarming with Atarka Red) that will survive two rotations. 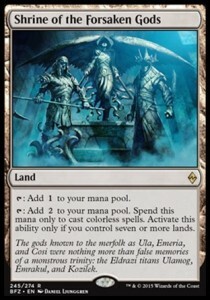 I find it hard to believe these 2 lands will continue to stay sub $1 as color fixing continues to get worse and colorless cards continue to get better. This card is the real deal. 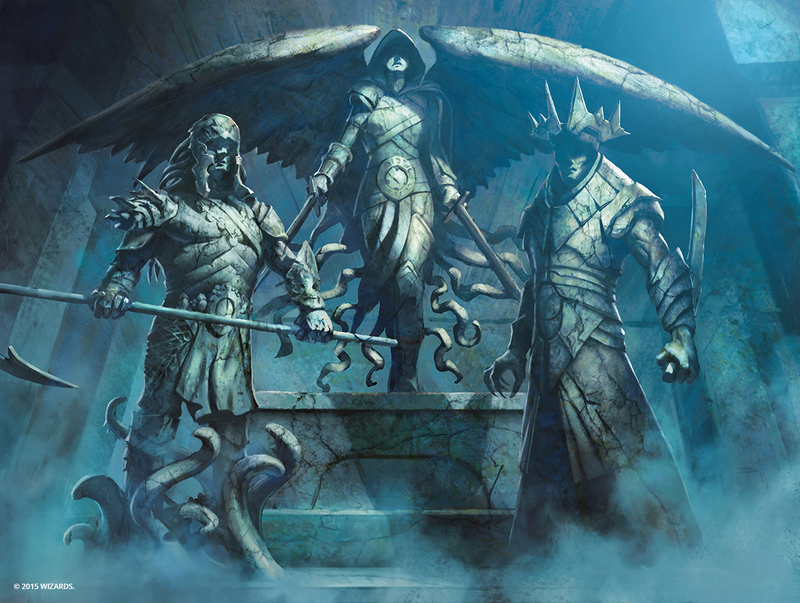 Showing up in Standard (when your other card draw options are Dig Through Time and Treasure Cruise – Both of which are banned in Modern and Legacy), Modern, and Legacy is a key to long term success. This card is a buck now and if you ever intend to play black, I can’t imagine not owning a set. Do you own all of these yet? What are you waiting for? I don’t know if this is the year they go up but I can’t imagine they continue to fall from here. I might write this again in July with a big “I told you so” but even if I don’t, you don’t lose anything by buying now. If buying all 4 is too much, you can look at Derek Madlem‘s article describing the minimum number you need to stay competitive. With the culmination of this article, I think we have 1-2 weeks of solid downward pressure on prices and then the bottom will become apparent. I can’t recommend enough making sure you have purchased all that you need before this lull is over. Next week (or the week after) I will be interviewing a local player turned card shop owner. Do you have any questions you’d like to ask a binder grinder that has taken the step into a business owner? Leave them in the comments below! Seems like Nissa would want to go in an aggressive G-based deck, which have traditionally been GR and GW. The former is locked into command/become immense and the latter has Gideon. Plus, you’re taxed into a +1 the first turn lest a crackling doom ruin your day. Plant tribal? I’ll mention here that Modern Tron players are buzzing about Kozilek’s Return. I play Tron and I’m not aboard that hype train, but it WILL be tested and if it works out then that’s going to be one expensive mythic! I’ll be looking to trade into them with the more casual prerelease players (unless it’s over $10). Spelling errors aside, good predictions. 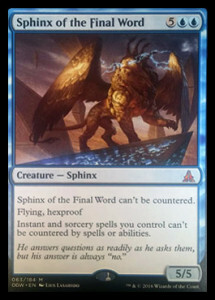 “Sphinx of the Final Word does not deserve many words.” Nice pun, but I think this is a legit card for Control strategies. Might at least see some sideboard play, it’s a pretty nasty beater that only gets hit by Crackling Doom. Crackling Doom, Foul-Tongue Invocation, and Ugin all kill it. It doesn’t kill people any faster than Dragonlord Ojutai does. There is no reason to buy it now if you think you will play it after those cards rotate. Jim, what don’t you like about the Sphinx? Seems like a solid control finisher and making stuff uncounterable seems really important. If Dragonlord Dromoka can show up in Vintage I think the Sphinx has some value somewhere if not in Standard. Maybe it’s just too slow, but I think the card has some overpowered text on it. If he preorders for bulk I’ll gladly pick some up. And I agree with you on Shock Lands. Every time I’m at my LGS players are always looking for Shocks to play different Modern decks. At least in my area there’s a lot of casual demand for Modern cards amongst the younger players. Dragonlord Dromoka has a different ability. They also can’t use removal to blow you out on your turn. Having your instants and sorceries becoming uncounterable is not a big deal. You’re paying 7 mana for a 5/5 body so it better immediately win the game or it’s just strictly worse than Dragonlord Ojutai. That being said, cards never pre-order for actual bulk. If you want to get these during the summer for $0.25 then thats fine but it won’t pre-oder for that much. if Crackling Doom wasn’t the best removal Spell in Standard the Sphinx might be reasonable in Control mirrors. But that role doesn’t come with a huge price tag. It kind of is the same type of card a control deck wants like pearl lake ancient.